In order to cater diverse requirement of the clients, we offer skin-friendly array of Crepe Fabric that is designed with elegance. The fine crepe work enhances the look of the dress and makes it more appealing and stylish. Crepe Fabric is designed using soft threads and is colorfastness in nature. Crepe Fabric is wrinkle free. We, Om Fabrics was established in the year 2014 in the market offering best collections of fabrics to its customers from textile industry. With our business offices based in Bengaluru, Karnataka (India), our company is engaged in operating its entire business as a Sole Proprietorship based business. 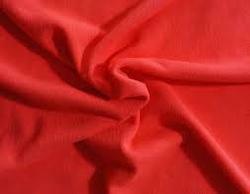 We are dealing in products such as Textile Fabric, Cotton Fabric and Ladies Dupatta. All these fabrics are produced using best machines and skills to keep it as per required standards. All these fabrics are best in class and look very stylish and sleek to look at. Our professionals are qualified and skilled in this realm. All these fabrics are used in garments industries for the fabrications of stylish and very beautiful looking attires. These fabrics are designed with round the clock efforts of our workers using best cotton and machines to keep it stylish and very quality assured. These fabrics are soft to touch, easy to wash at home and have long lasting colors. They are available in many fabrics and specifications. Apart from this we also have quality tested team that keeps a close track on the fabrications to keep it best and flawless. With the best quality assurance, we also have very neat and sleek online presence those help outs customers to select the range of fabrics in very easy way. We also offer easy delivery options to keep our clients carefree. All these fabrics are delivered to our customers’ premises safe and sound as we provide safe packaging.